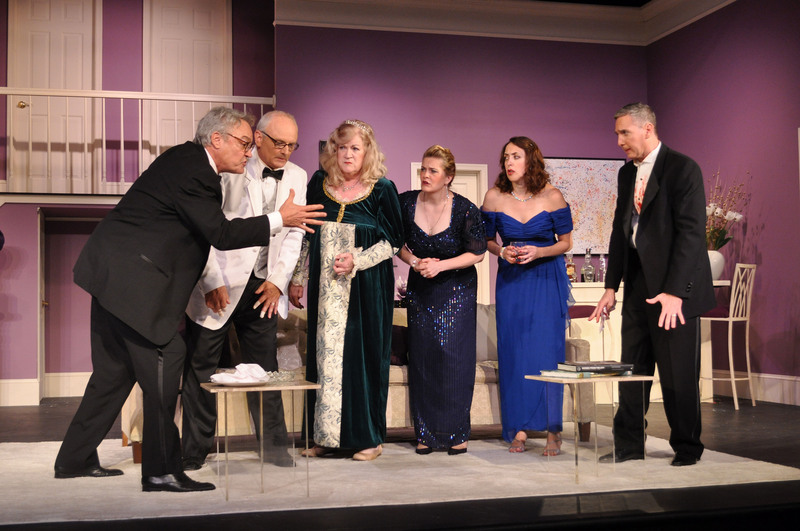 Closing Night Tonight – Last Chance for “Rumors” – Come Laugh With Us! Also Below – Providence Players Rumors on TV! 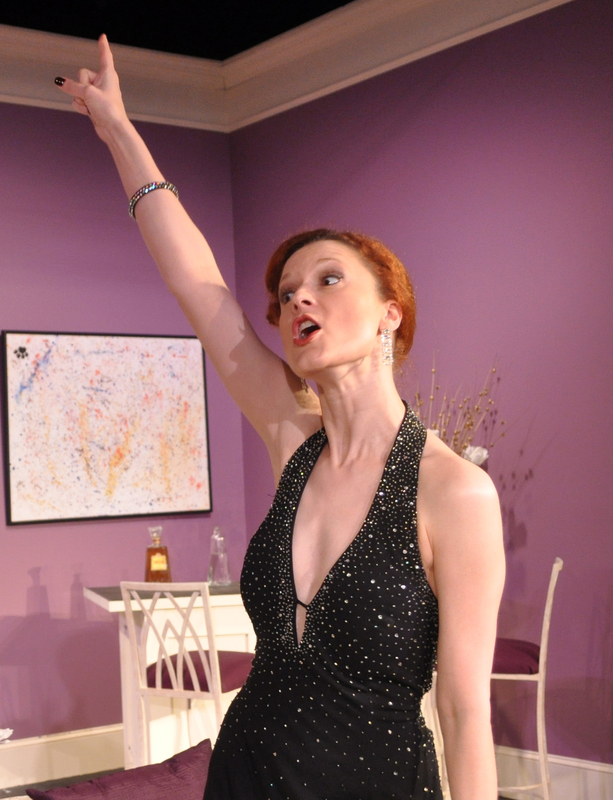 DCMetroTheaterArts.com reviewer Francine Schwartz echos audience sentiments with a GLOWING 5 Star “Its’ A Blast” review. 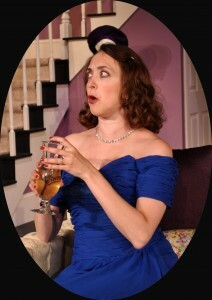 She sums it up with “Providence Players of Fairfax’s Rumors is a blast! 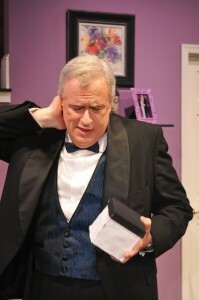 Rumor has it that you will have a belly-laughed filled time in the theatre. And rumor has it that Mr. Simon would be beaming! 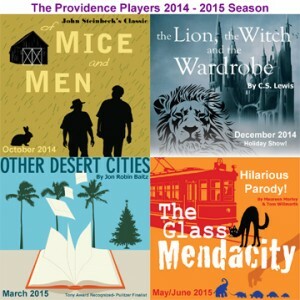 The Providence Players of Fairfax wring every possible laugh out of it. The zingers fly everywhere, and Director Liz Mykietyn and her hilarious and hard-working cast make sure those funny one-liners land-and land they do. 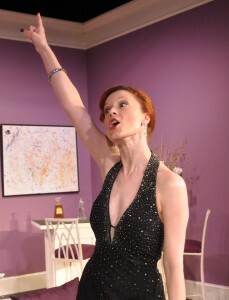 At the performance I attended, the audience was howling! 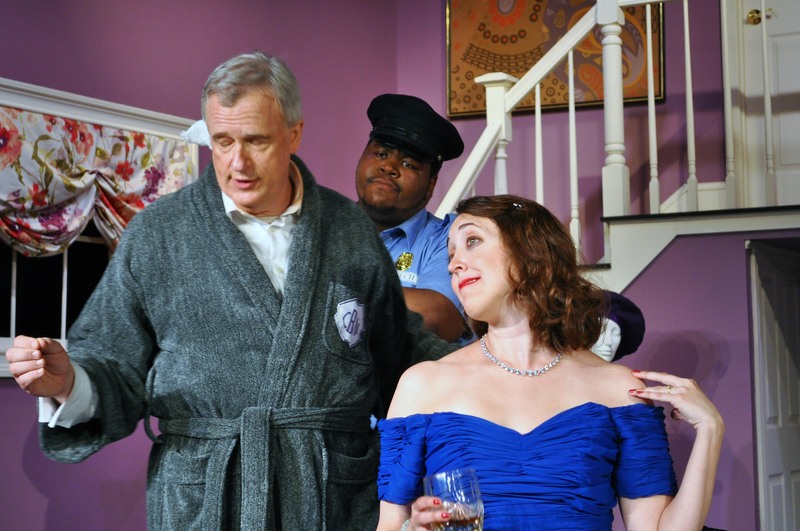 So if you need a good laugh or several dozen-make your way to the James Lee Community Center.” See Francine’s DCMTA Review Here. Rumor Has it PPF’s Rumors is on TV! PPF on TV! “Rumors” Director Liz Mykietyn, cast members Andra Whitt and Don Myers along with producer Chip Gertzog were graciously invited to do the Fairfax Cable Access TV show “Potluck” by host Laura Hartman and producer Gayle Yiotis. In Fairfax, it airs on Cox Channel 10 as well as a variety of other cable systems throughout the NOVA region. For info on Potluck, go to: http://www.potluck-online.org/. We are thrilled to announce another great season for 2014-2015, filled with outstanding variety including classic drama, a ton of laughter, fantasy and parody. We hope you will join us for this great lineup. Season tickets are on sale now and offer maximum price savings, lots of flexibility (buy your season tickets now, choose the performance you will attend later) and the best seating PPF has to offer. As usual, our holiday production is not part of our season package, but you can add tickets to the holiday show with your season order now when you purchase by mail or later when they go on sale online. One of Steinbeck’s most acclaimed works, this American classic chronicles four days in the lives of migrant workers, George and Lennie. Unlikely friends, they move from town to town hoping to work and save enough to own their own piece of land. But Lennie stirs up trouble, and George must choose between his friend and his dream. This vivid picture of the Great Depression conveys a tale of friendship, loneliness and unfortunate circumstances for even “the best laid schemes of mice and men.” Tony award nominated and winner of Best Play by the New York Drama Critic’s Circle. Four children, evacuated from London during World War II, explore their new country home. Lucy, the youngest, stumbles upon a curious wardrobe, climbs in and discovers a magical forest in the land of Narnia. The land is under the power of a White Witch, and soon Peter, Susan, Edmund and Lucy must lead an entire kingdom in a fight for good. This popular and heart-warming tale is full of mystical creatures, talking animals and Aslan, the great lion and ruler of Narnia. A holiday treat that is good for the entire family. In this searing comedy, young writer Brooke Wyeth returns home to Palm Springs to celebrate Christmas with her famous and politically-connected parents, brother and aunt. When she announces her plans to publish a tell-it-all memoir of crucial events in the family’s past, she brings to light secrets, intrigue, fear and a surprising twist that even she can’t fathom. This riveting new play was nominated for a 2012 Tony Award for Best Play and a Finalist for the 2012 Pulitzer Prize. What do you get when you put the characters of A Streetcar Named Desire, The Glass Menagerie and Cat on a Hot Tin Roof in the same room? A hilarious comedy that parodies some of Tennessee William’s most popular southern dramas. It’s Big Daddy’s birthday and the entire blended family have gathered at Belle Reve to celebrate with sweet tea, cheese balls, cards and a brutish, unfettered, southern charm. If you don’t know these plays, don’t fret. These off-kilter and dysfunctional family shenanigans can be enjoyed by all! and Join Us for A Great 2014-2015 Season!